Karin Brückner has developed a range of easy to use podiatry products for use at home. 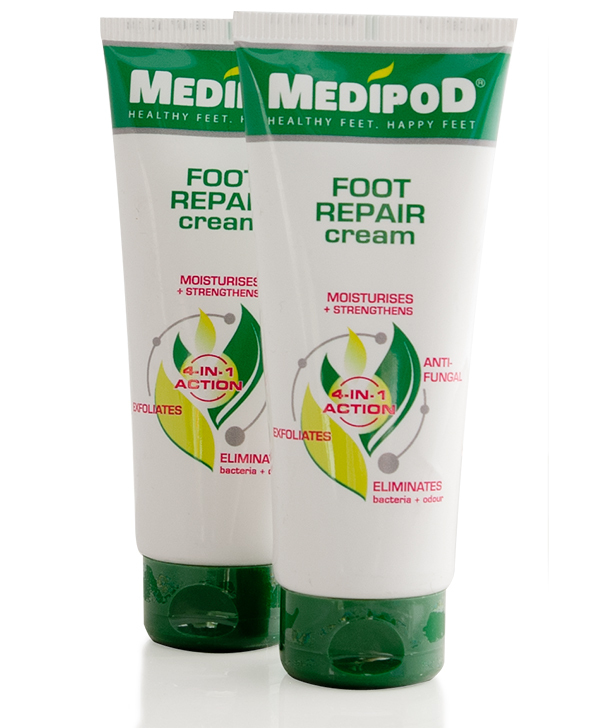 They include FungiSolve and Medipod Foot Repair Cream. Foot Repair Cream was formulated by Karin based on the research that the skin of the foot has a unique formation of cells. With that in mind an application of foot repair cream protects your feet for up to 24 hours from fungal and bacterial contamination. It also strengthens the cells to prevent cracking, as a slow chemical exfoliator, helps to reduce callouses and is a moisturizer to maintain good skin elasticity. I would not perform laser treatment for fungal nail infections without also recommending the use of Fungisolve to prevent re-infection and assure a better long-term result. 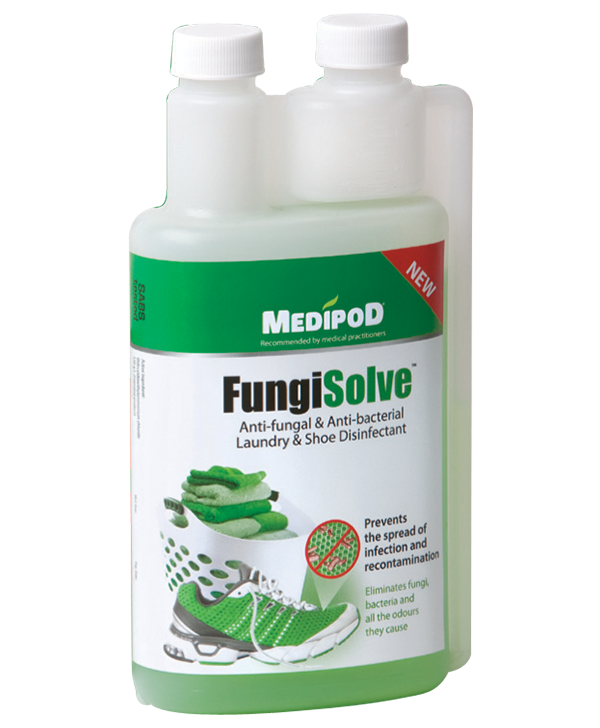 I recommend FungiSolve to all my patients to decontaminate their shoes. FungiSolve was developed in conjunction with plant pathologist Dr Wouter Schreuder from Stellenbosch. It is a laundry aid to decontaminate shoes and socks as it has been found that fungal spores remain in the footwear and this is the cause of continuous reinfection. This detergent is the only one of its kind available in South Africa to decontaminate fabric and fiber, having the same effect as distilled water on fabric, hence doing no harm, but rendering it germ-free even with hand washing in cold water. No other detergents are needed.